Apples are ideal first fruit for introducing babies once they complete 6 months of age. Apples are healthy, full of nutrients and are easy to digest. They are rich in vitamin C and fiber. 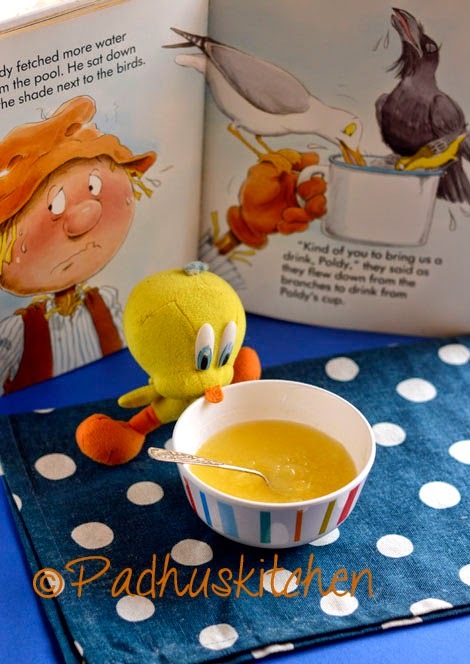 Today we will see how to make Apple puree for babies following this easy recipe. Wash, peel and core the apple. Cut it into chunks. Boil the apple cubes in a pan with just enough water to slightly cover the apples or you may also steam the apples. Cover and cook. Take care not to over cook as overcooking will destroy most of their nutrients. Once the apples are fork tender, remove from heat and let it cool. Puree it in a blender until smooth. If you have steamed the apples, blend it to a puree with a little water. Feed the baby with a baby spoon. Once the baby is comfortable with the cooked apple puree, you can start giving raw apple puree (from 9 months onward) without cooking it. Wash, peel and core the apple. Cut it into big pieces and puree it. Prepare it a few minutes before needed. Use organic apples and prepare it fresh as and when required. It is not going to take much time. Discard leftovers. Note - Though all baby food recipes are posted after consulting our pediatrician, I suggest that you always consult your pediatrician before introducing your baby to a new food. nice presentation and healthy puree.. Thank u very much my dear sweat sis. Its very useful for my 6 monthbaby sis.